Patient history of primary or secondary brain tumor had the greatest association with epilepsy or seizures. In the current study, Dr Birnbaum and colleagues analyzed data from 5 cross-sectional cohorts of Medicare- and Medicaid-certified nursing homes to evaluate the prevalence of seizures/epilepsy with comorbid neurological disorders in nursing home residents. Nursing home residents with seizures or epilepsy were identified from Minimum Data Set assessments and International Statistical Classification of Diseases and Related Health Problems, Ninth Revision, codes. The prevalence of seizures/epilepsy was 7.7% overall, with greater prevalence in men, younger residents (ages 65-74 years), and black residents. Although residents with seizures or epilepsy had a lower rate of fractures or falls, they tended to have a higher comorbidity burden. A history of comorbid primary or secondary brain tumor had the greatest association with seizures/epilepsy in this cohort (35.2% and 23.4%, respectively), followed by head injury (17.9%), hemiplegia (17.7%), and stroke (13.7%). Notably, the prevalence of seizures/epilepsy was 7.9% and 7.0% in patients with dementia and Alzheimer’s disease, respectively. The prevalence of a comorbid diagnosis of stroke or dementia with seizures/epilepsy was highest in the West, Southeast, and Middle Atlantic regions of the United States. 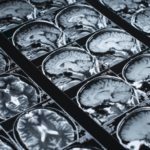 The investigators also found a strong association between age and prevalence of epilepsy/seizures in patients with stroke and dementia comorbidities. Nursing home residents aged 65 to 74 years with a history of stroke or dementia had 3.8 to 3.9 higher odds of seizures/epilepsy than older residents (85 years or older). Finally, nursing home residents with seizures/epilepsy had worse scores for activities of daily living, cognition, and comorbidity burden. The authors pointed out that antiseizure medication in the elderly is associated with central nervous system-related adverse effects that can limit mobility, increase falls, and interact with other medications. “It may be useful to reassess a patient’s overall treatment in order to optimize therapy, which could include discontinuation of medications that may no longer be needed, are inappropriate for this cohort, or are treating conditions that are not as relevant in this population as when they were added at a younger age,” Dr Birnbaum advised.